Are soy, almond, coconut, and rice milk really “milk”? Dairy farmers want the government to declare their product the one true milk. Purveyors of soy, almonds, coconuts, and rice are fighting back. Dairy producers have tried to raise this issue with the FDA before, but despite some flaccid gestures—a pair of warnings issued to soy concerns in 2008 and 2012—the government has thus far been silent on the issue. But now the milk-makers’ cause has at last been taken up in Washington. A bill introduced in January, the DAIRY PRIDE Act (or the “Defending Against Imitations and Replacements of Yogurt, Milk, and Cheese to Promote Regular Intake of Dairy Everyday Act”), would rip the fake-milk moustache off any pale-white beverage made from rice, nuts, soybeans, hemp, coconut, or algae, so as to “combat the unfair practice of mislabeling non-dairy products.” State regulators of the nation’s milk economy joined the fray two weeks ago, asking for clearer guidance from the feds on the status of what they called “imitation” milk. This all may sound absurd, even desperate, as if Big Dairy would try anything to stabilize its crashing market share. But the legislative fight over “cow-nterfeits” isn’t quite as silly as it seems. The words we see on supermarket packages both reflect and instantiate deep beliefs about the meaning of our foods—and, in particular, about how they might affect our health. That’s why there’s been so much debate over which (if any) products have a rightful claim to being called natural, for example, or whether it’s OK to refer to added sugar as “evaporated cane juice.” The “milk” debate is no less subtle in its implications, and no less tricky to decide. What is “milk,” really, and how should it be defined? Strictly as a legal matter, the dairy farmers have a point. The section of the U.S. code that deals with milk and cream defines the former as “the lacteal secretion, practically free from colostrum, obtained by the complete milking of one or more healthy cows.” Aside from sounding kind of gross, this definition is surprisingly specific: Milk does not come from plants, or even sheep or goats. The regulations do leave a little wiggle room. They say, for example, that “milk” can be doped with vitamins, cut with fruit juice, skimmed of fat, and/or enhanced with natural and artificial flavorings and colors. But whatever flexibility the law allows applies to the product’s additives, not its source. Anything that’s sold as “milk” must be squirted from the udder of a bovine. No one thinks this rule should be applied across the board, in every dairy context. Otherwise, we’d have to refer to goat’s-milk cheese and yogurt—neither of which are made from the lacteal secretions of one or more healthy cows—as goat spread, goat paste, or creamy goat topping. Likewise, as many plant-milk advocates have pointed out, a strict application of FDA rules could in theory be applied to peanut butter, which is not really “butter,” and so should perhaps be relabeled, in deference to the dairy farmers’ crisis, as peanut mash or peanut mucilage. In practice, though, the dairy rules have been applied only when the words in question—milk, butter, etc.—are presented on their own, as freestanding claims to a milky identity. As long as it’s clear to consumers that “peanut butter” is made from peanuts and that it’s not an imitation form of cow’s-milk butter being passed off as the real thing, there’s no need to step in and force a change in packaging. The latter case is pending, but a judge has already ruled against the angry Trader Joe’s consumers. Their beef with soymilk made no sense, wrote the judge in December 2015, since they couldn’t possibly have been misled or confused by the supermarket’s packaging. “The reasonable consumer (indeed, even the least sophisticated consumer) does not think soymilk comes from a cow,” he said. Nor are they being tricked into thinking that soymilk and cow’s milk are nutritionally equivalent. In fact, soymilk drinkers often choose that product specifically to avoid drinking cow’s milk and because they think it’s better for their health. On the other hand, the fake-milk debate—and today’s arguments about the relative authenticity of plant-based milks—also seems to go back centuries. The 1797 edition of the Encyclopedia Britannica, for example, notes that “the emulsive liquors of vegetables may be called vegetable milks,” and that, “accordingly, emulsions made with almonds are commonly called milk of almonds.” But the encyclopedia goes on to differentiate between processed almond milk, “which is in some measure artificial,” and the more natural-seeming “milky juices” of, say, the lettuce or the fig. Those questions as to the meaning of “milk” grew more salient in the late 19th and early-20th centuries, when people started drinking milk in much greater quantities. The milk boom began with the development of pasteurization and refrigerated supply lines—now it was possible to have safe, fresh milk, even in cities—and with the conviction that it would benefit the growth of children. As Indiana University anthropologist and milk scholar Andrea Wiley explains, the association between cow’s milk and children’s health seemed perfectly natural, given how mother’s milk sustains an infant’s development. Mulhern also argued that it’s wrong to think of soy milk or almond milk as being analogous to dairy-term-adjacent products such as peanut butter, since peanut butter (and other foods of that ilk) has its own legal definition. At issue, Mulhern said, is the fact that milk is especially good for you and that the plant-milk pretenders are making “a subtle effort to trade of the healthy halo of real milk.” A better analogy, perhaps, would be to margarine, which has been marketed as a direct substitute for butter and has not been allowed to use the butter name. To address just this sort of chicanery, the Oleomargarine Act of 1886, inspired by the dairy lobby of that era, penalized the manufacturers of margarine for coloring their product so it looked more like butter. The plant-milk producers contend, in turn, that people buy their products because of all the ways they’re different from dairy milk. They’re not trading on the “healthy halo” of milk, they say, so much as offering something better—the same white color, creamy taste, vitamins, and minerals but without the bovine hormones or saturated fat. And yet, the “milk” brand clearly holds some residual value for these manufacturers. If the milk name really didn’t matter, then the soy and almond milk producers wouldn’t be so agitated by the DAIRY PRIDE Act. They could just rename their products “soy drinks” or “almond beverages,” as manufacturers in Canada and Europe have already done, and proceed with business as usual. If they did do that, though, they might lose the benefits they accrue from the old idea that milk is a natural superfood. 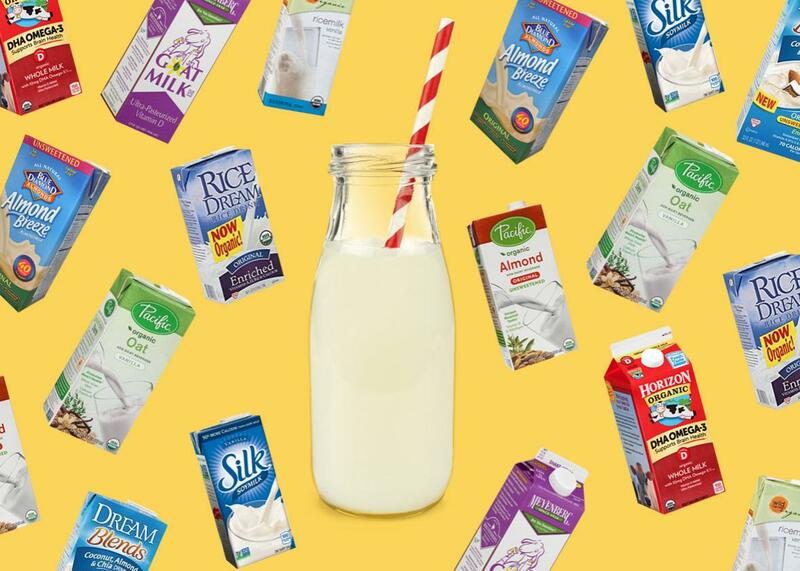 Stripped of their milky status, soy and almond “beverages” would start to seem like yucky fakes—the nutritional equivalent, perhaps, of “flavored juice drinks” or Yoo-hoo. In fact, plant-milk makers haven’t just been clinging to the milk name. They’ve been taking measures to position their products as direct competitors (and upgrades) to dairy milk. The rapid growth of their business rests, in part, on the recent innovation of taking soy, almond, and other nondairy milks out of traditional, antiseptic foil boxes and putting them into more familiar-looking packaging in the refrigerated aisle, right next to all the cow’s milk. They’ve also added vitamin D, calcium, and other nutrients, so their nutrition labels look more like the ones on dairy milk. 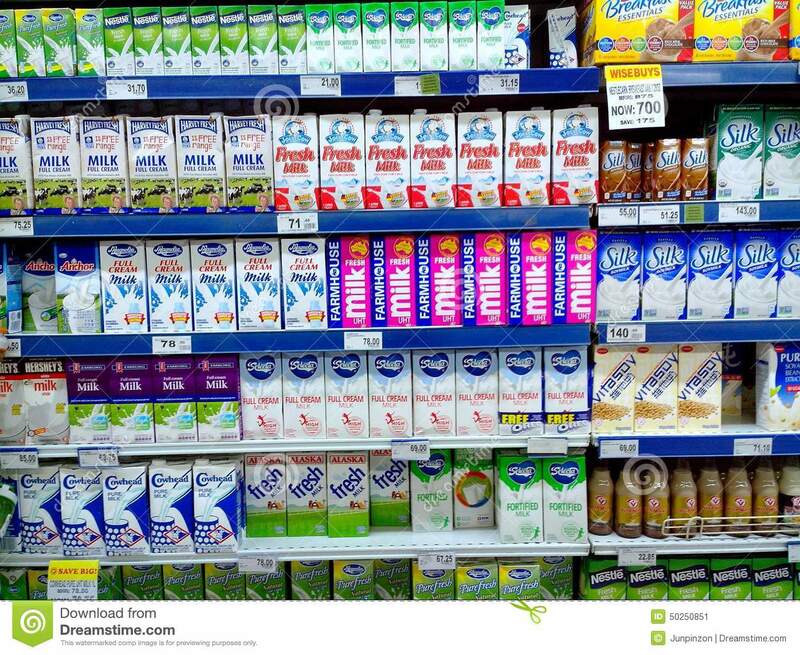 Let’s say “imitation” milks are, to some extent, trading on milk’s healthy halo. Even then, it’s not clear how best to protect naïve consumers, given that this healthy halo may itself be a sham. First of all, it’s not like dairy milk isn’t also spiked with nutrients that boost its healthy claims. (Pure, unprocessed skim milk would be light on vitamins A and D.) And second, despite the fact that milk has long been promoted as a health food by the dairy lobby and the U.S. government, there isn’t solid evidence that it’s really good for you. A large-scale, expert review of the science on milk consumption, conducted on behalf of the International Chair on Cardiometabolic Risk and published in 2016 concluded that there is a “neutral effect of milk intake on health outcomes.” When the researchers looked at coronary heart disease, stroke, Type 2 diabetes, and bone fractures, they found that drinking milk didn’t seem to have much impact whatsoever. This lack of evidence, the experts said, “raises the question” of whether milk should continue to be included in guidelines for healthy eating. Wiley says the scientific evidence connecting milk consumption and growth is also questionable. In any case, she argues, the decline in milk consumption may be related to the fact that “growth” itself isn’t as desirable as it used to be. In America, at least, many of our most debilitating diseases are now associated with excessive growth—overeating, obesity—so we’re less invested in the idea that milk is a magic potion to make our bodies bigger. (As milk consumption falls at home, she says, it’s been on the rise in the developing world, particularly in India and China, where the idea of growth has more currency.) Plant-based milks, for their part, often come with extra sugar and other additives, and there isn’t much reason to believe they’re any better for your health than dairy milk. If you want a healthy beverage, drink water. If milk’s healthy halo might have been a marketing sham to begin with, then how should we think about—and regulate—the so-called imitation milks? On one hand, there’s not much reason to protect milk’s reputation as a “perfect food.” On the other, it might be even worse to let its suspect halo be expanded, such that it encircles lots of other products. Maybe it would be easiest to do away with the misleading “milk” brand altogether. One high-end almond milk producer is already moving in that direction: To avoid confusing customers, it changed the name of its product to malk.